So Where Are You Taking Me To Dinner With Your $450,000, Adam Carolla? 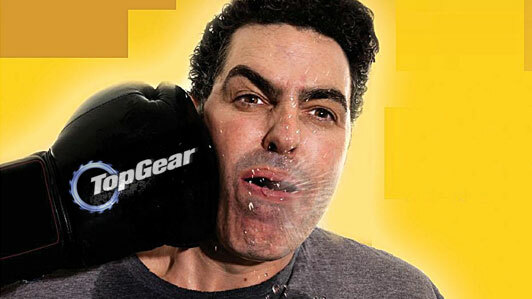 Just read this update from Joe Mullin on the Adam Carolla whiney-baby fight against the “podcasting troll”. We all know by reading this and this that I disagree with Joe on the labeling of Personal Audio as a patent troll in the general sense of the word. As previously stated, he differs in my mind from the standard troll because he a) actually created a “product”, if you will, using the patented idea and sank his own money into it, and b) he sues people who are actually in the same line of business that his patent covers (as opposed to, say, people who have never come close to infringing on anything in their lives). Adam’s a funny man, and I like his comedy but I don’t like when people are disingenuous. So you’re telling me that Personal Audio moved to dismiss their case, and Camp Carolla said…no? Whaaaaat? When Personal Audio first began its litigation, it was under the impression that Carolla, the self-proclaimed largest podcaster in the world, as well as certain other podcasters, were making significant money from infringing Personal Audio’s patents. After the parties completed discovery, however, it became clear this was not the case. As a result, Personal Audio began to offer dismissals from the case to the podcasting companies involved, rather than to litigate over the smaller amounts of money at issue. Oooh. It’s the “small amounts of money at issue” thing that got you, no? Look, I get it. I’d like to think we could all make bazillions of dollars off Teh Interwebs but not everyone can be a Goop. Personal Audio is no longer coming after you though, so you’re swinging for the fences and no one’s even pitching to you. Your site is still up, and there’s been no update letting contributors know that their funds aren’t needed anymore. You’re behaving like the man in line at Sonic who got tots instead of fries and no matter how many times the clerk tells you she’ll gladly swap them out for what you ordered, you insist upon a lifetime of free slushies just because YOU WAS WRONGED, MAN!! You got what you wanted, Personal Audio dropped the suit. You’re now the one who’s wrong by leaving your crowdfunding site up and collecting money for something you no longer need. It’s not that downloadable .csv files aren’t cool, they’re just so plain. Normal. Uninteractive. Enter? Tableau. Data visualization software that makes it super easy to create dashboards that not only show you something in a pretty way (maps! bars! scatter plots!) but that let you interact with your data. You can touch it and feel and hug it and kiss it and call it George. If you want to, I mean. Not that I do that during commercial breaks of The Nanny. As far as you know. The NPE Data has been put into a Tableau workbook for your downloading and interactive pleasure here, at my number one Alter Ego, Interworks. 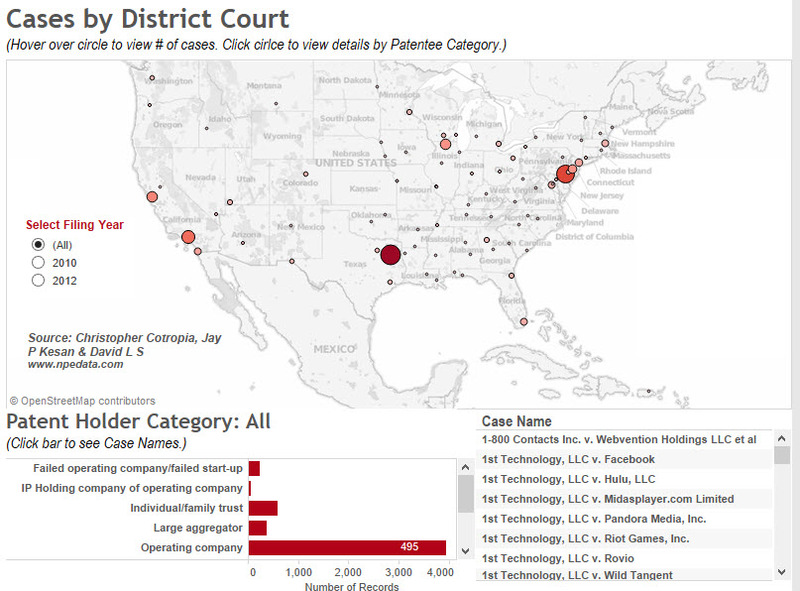 This is the first of many visualizations to come, as there are many different kinds of NPE litigation-related data and patent data and honestly? They could all use some tarting up. Oh, Intellectual Asset Management Magazine, You Silly Thing, You! You slay me, I AM. A while back you published this article about a study that came out, touting the damage that patent trolls do to start ups. OK, not necessarily start ups, but “entrepreneurial activity”. And not necessarily “patent trolls”, but NPEs/PAEs/Euphamisms-of-the-Month. But whatever, we all know what we’re talking about here and if you don’t, I have no idea what would land you on this blog other than a search for Big Derrieres. 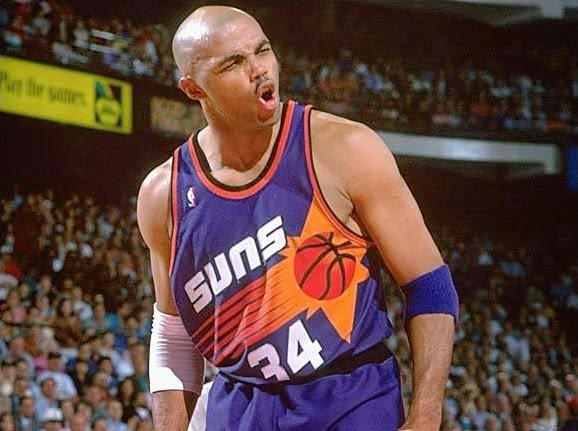 And if that’s the case, well then let me introduce you to Mr. Charles Barkley. Note: Mr. Barkley is not a patent troll and even if he was I wouldn’t call him one because dude is huge, and I value my life. I am not going to argue with the idea that VCs would have ploughed more money into certain companies if they had not been hit with lawsuits by PAEs. That seems pretty self-evident to me – VCs, like any other kind of investor, dislike uncertainty. So we’re on the same page then, right? However, what I did not see in the study is any evaluation of the merits of the cases brought by the PAEs Tucker writes about. Instead, I saw a few anecdotes about what seem like egregious cases, but nothing that demonstrated these were typical. It seems inarguable to me that PAEs willing to spend millions of dollars taking their cases to court when they cannot get someone to take a licence believe that their patents are being infringed and that they have a good chance of convincing the court to agree. Thus, it could just be that Tucker has spent her time and the CCIA’s money discovering that VCs are unlikely to sink money into companies whose products infringe patents. I could be wrong, of course; but we don’t know because Tucker does not look into it. You’re forgetting something: With patent trolls, the merits of the case don’t matter. That’s sort of the whole point of all the railing against them. Whether the patent is invalid or infringement occurred matters not to the entrepreneur looking for money: once you’re sued by a troll you have to respond, and that eats time and resources that would have been better spent on things like growing a business and hiring employees. Tucker didn’t spend her time deconstructing the cases? Probably because she likes to spend it doing something worthwhile. Like making the point that patents can be used as a weapon to slow down start ups and innovation. Furthermore, the patents that PAEs seek to license and are sometimes forced to litigate do not just appear out of the ether. All in all, therefore, this study does not come close to making a case for legislative patent reform. Right. Well, “right” in the sense that I don’t think patent reform is going to solve the patent troll problem. Certainly things are ripe for updating in the grand ol’ US of A patent system, like how examiners are vetted and hired and what skill sets they have and by that I mean you need to hire lawyers at the USPTO so they can fight off the lawyers that the companies hire to get their client’s stuff patented. I think we can agree on this. It might not be ideal, but it is a whole lot better than passing sledgehammer laws based on anecdotes and flawed research. I’m aware that the plural of anecdote is not “data”. I’m also aware that all research is inherently flawed, if it’s done by humans, that is. We all bring a sense of bias to our research, I’m not sure that will ever not be the case. That doesn’t mean you throw it out and decide unilaterally not to make decisions based on it. Again, I agree that “sledgehammer laws” are stupid and ineffective but articles like Catherine Tucker’s highlight that the problem does in fact exist, even if it doesn’t delve into every level of detail that I AM would like to see. None of this is to say that there are not problems and issues to address with regards to abusive patent litigation in the US, clearly there are. There are real problems and real issues with patent litigation today. I happen to think Ms. Tucker’s article does a great job of highlighting a specific one, even if you and Barry don’t agree with me.